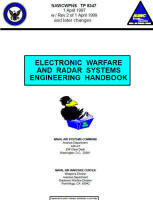 The complete Table of Contents is available at this link. 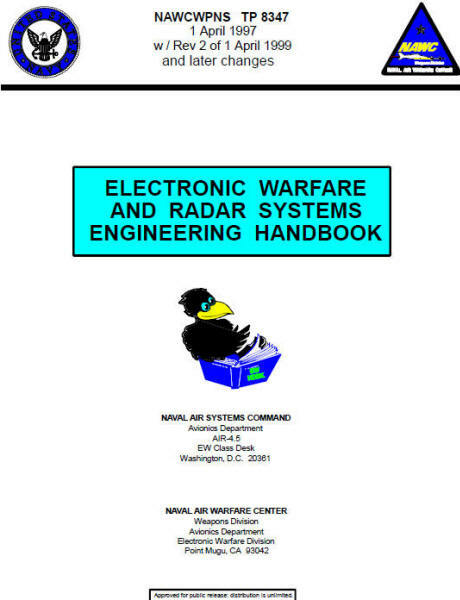 For some reason this Electronic Warfare and Radar Systems Engineering Handbook has been very difficult to locate unless you knew right where to go. Over time, some websites have been posting the file on their own servers, but it is a pretty big PDF file, and it really has not been very well indexed by Google or Yahoo or the other search engines. Therefore, I have broken it into smaller parts and posted it in HTML format. That will make viewing specific chapters much faster and easier. The original document contains color images.